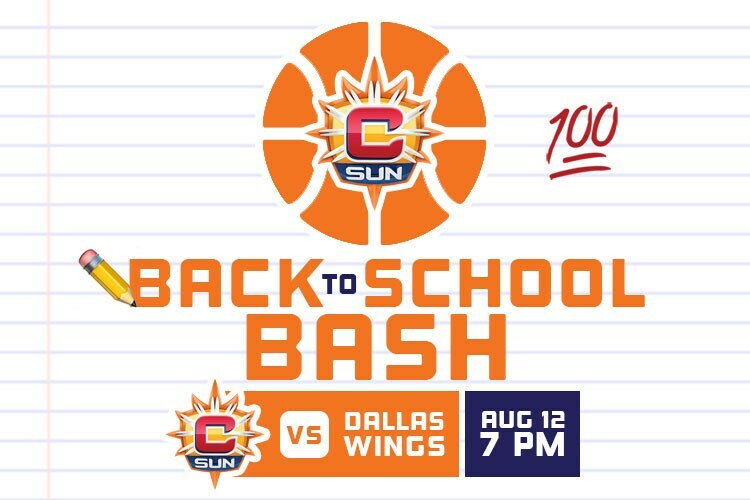 Get the last of your summer fun in with Sun basketball at our Back to School Bash. The Connecticut Sun has partnered with MARC Community Resources for a back to school supplies drive! You can donate school supplies by bringing them to the game and dropping them in a designated bin on the concourse. We will honor 2017 Connecticut Teacher of the Year, Lauren Danner from North Branford. Adidas Night: Rep your youth squad and you could walk away with FREE Adidas basketball gear! $2 candy and $3 beer and wine specials!